Unlocking growth and volume for DEW in a way that continues to disrupt industry norms. How can we harness the power of digital to drive growth for a $9B brand? 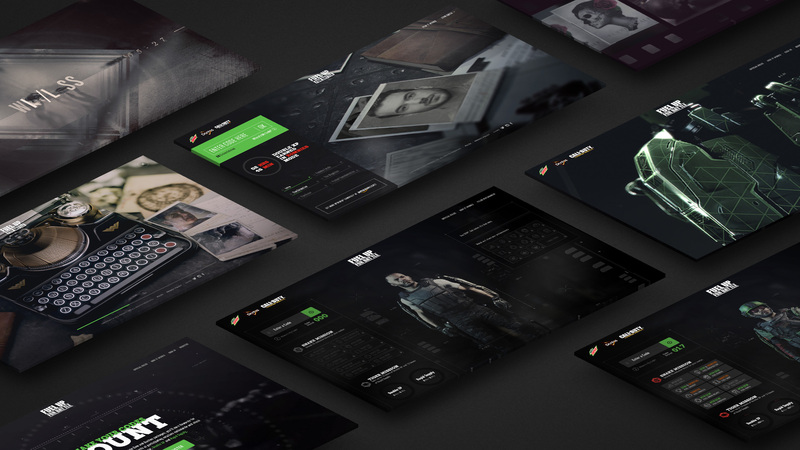 Creative Campaigns: Working with an inter-agency team, we created compelling, integrated creative to drive awareness on Dew’s digital channels for products like Black Label, Baja Blast and Kickstart. 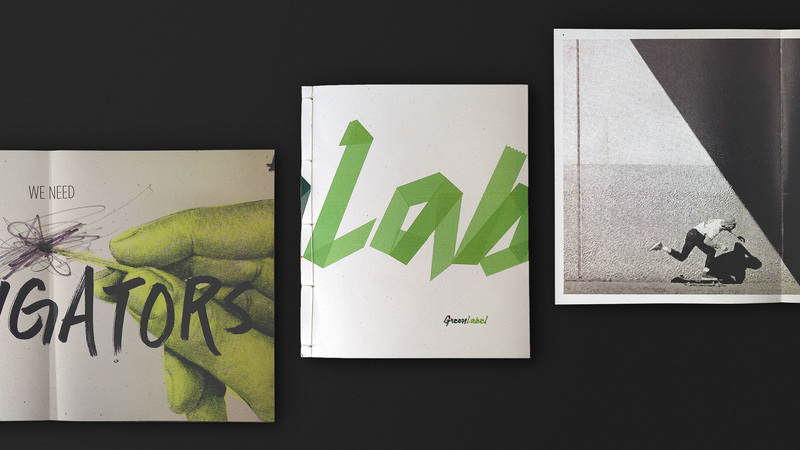 Brand Identity: Strategic partner that created the voice and identity for DEW’s lifestyle content platform Green Label. Virtual Storytelling: Created a branded entertainment platform featuring four unique VR experiences. 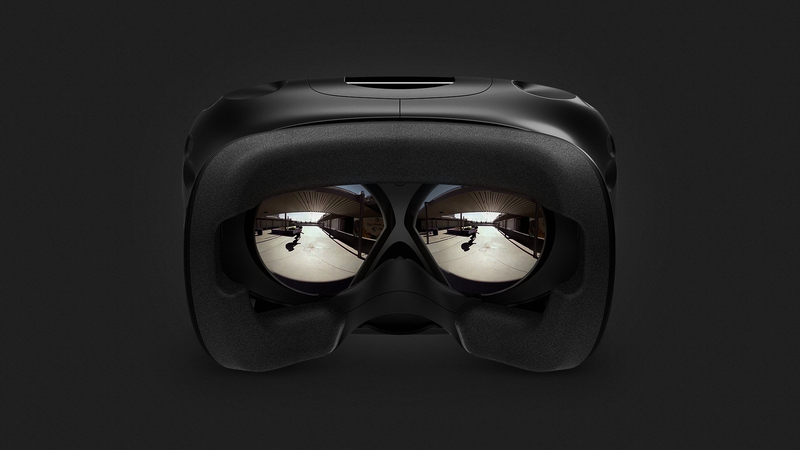 Goggles On: Dew VR was not born from a brief—we simply wanted to use still-emerging virtual reality to bring DEW fans closer to the action sports experiences and icons that they love. 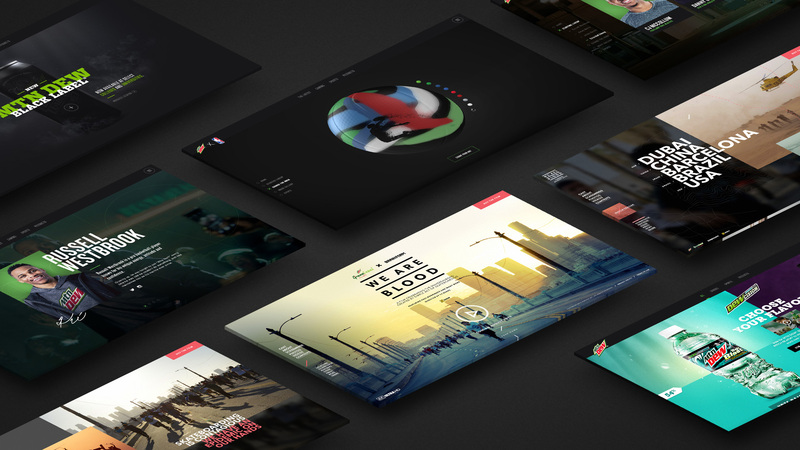 Game On: Created and developed the digital hub for gaming and redemption sites for DEW’s largest gaming promotions, strategically working with partners like Activision and Sony. According to the New York Times, “the drop in soda consumption represents the single largest change in the American diet in the last decade.” Health and wellness is an enduring trend driving declining sales for all big cola brands. As Mountain Dew’s Digital AOR, our challenge is to harness the power of digital to not only help DEW survive in this new environment, but to drive category-defining growth. 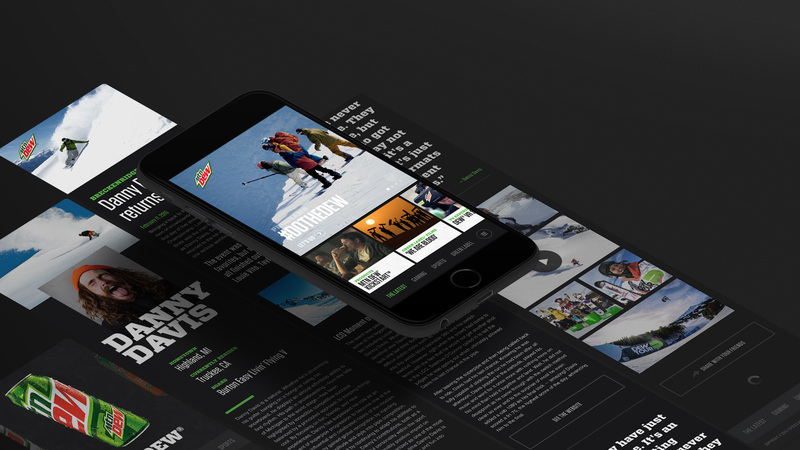 Working with the DEW brand team, we help unlock growth and volume for DEW in a way that continues to disrupt industry norms—from creating a mobile-first experience and dynamic home for the brand in MountainDew.com, to bringing DEW fans closer to the action-sports and icons they love through immersive Virtual Reality experiences. Our charge is to ensure that digital remains at the forefront of everything the brand does—while also staying true to the brand’s values and its target consumers. By targeting “big bet” opportunities that align with the brand’s campaign calendar, and expanding our role in specific areas of the business ripe for digital, we helped DEW become the #1 flavored carbonated soft drink in the U.S. Impressive results for sure, but even more notable since the category in general is experiencing decline. 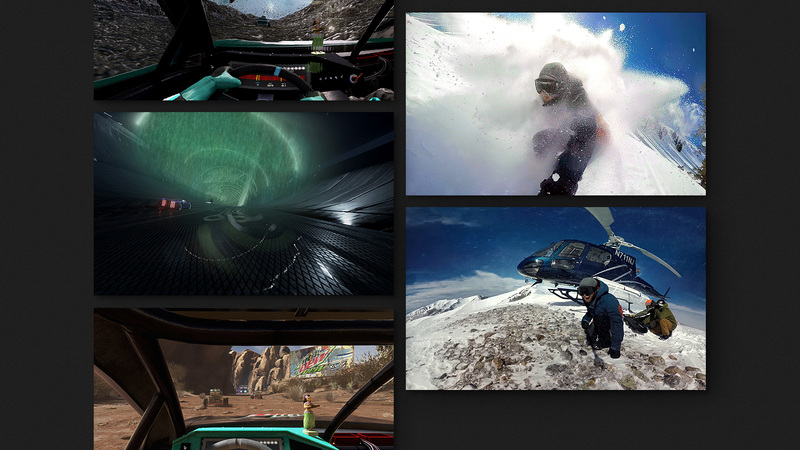 Can Oculus Rift Make Mountain Dew a Content Machine Like GoPro or Red Bull? As Mountain Dew’s Digital AOR, we reshape the brand through digital innovation across owned properties, marketing initiatives and more future-forward channels such as mobile at retail and branded content. Our charge is to ensure that digital remains at the forefront of everything the brand does—while also staying true to the brand’s values and its target consumers. 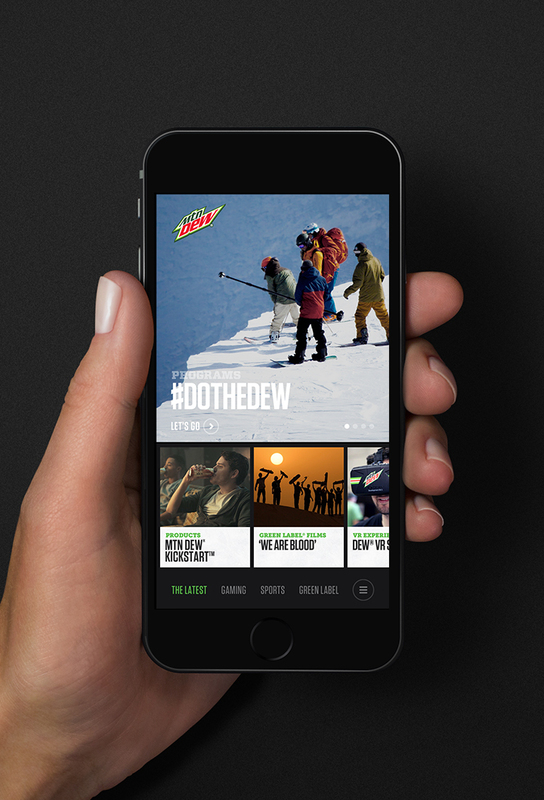 Working with the DEW Brand team, we help unlock growth and volume for DEW in a way that continues to disrupt category norms—from creating a mobile-first experience and dynamic home for the brand in MountainDew.com, to bringing DEW fans closer to the action sports and icons they love through immersive Virtual Reality experiences.